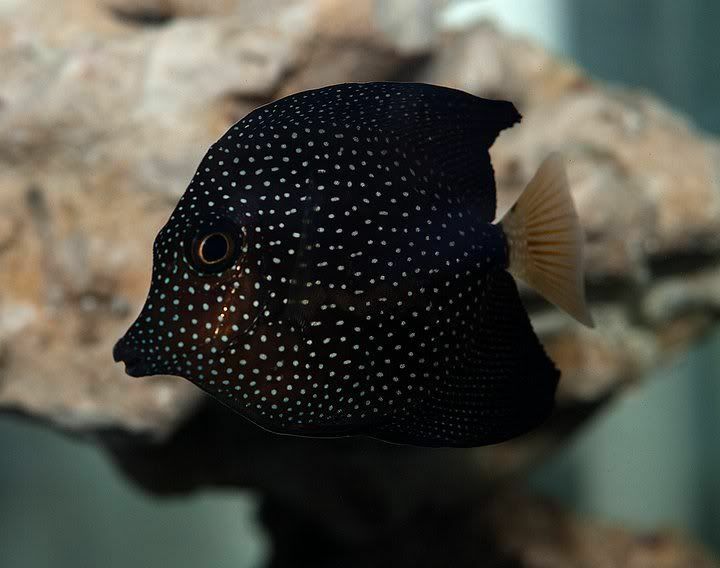 The Gem Tang is one of the most highly sought after fish and commands a high price as expected. The fish has a limited range found almost exclusively in Mauritius. Sometimes stragglers are captured off the cost of Africa. Because of the limited range and shipping difficulty to the US this fish is rarely available in the trade. The good news is that they are super hardy. They will readily eat prepared foods but should be fed a high algae diet to promote optimal health.